Did you know students are one of the highest risk groups for crime in the country? Attracted by insecure and often highly visible high-value items such as laptops, smartphones and iPads, thieves see students as easy prey. To avoid being targeted, students should make safety and security a top priority by following the below steps. Whether you are a student in halls or in privately rented accommodation, it is essential that you keep your valuables safe and out of sight. Never leave valuables or electronic items near doors or windows as this provides thieves with an easy opportunity to take your items. In the case of halls, always lock your room when you leave it. If your room or shared accommodation is going to be vacant for a few weeks, either hide all valuables so they are not easily seen or, better still, remove them completely from your room. 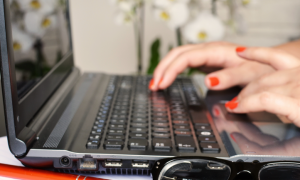 It is a very good idea to security mark your valuable and electronic items. Ask at your university about security marking – most institutions will have a student liaison police officer who will be able to help with this. Not only will this reduce the likelihood of your goods being stolen, but it also makes it easier to retrieve your items should this unfortunate event occur. For students living in halls of residence, beware of strangers and unknown visitors. Never let a person you don’t know into your halls – instead ask them who they wish to visit and offer to go and fetch that person for them. Likewise, if you notice a stranger on site that you don’t recognise, ask them if you can help. This will normally deter any would-be thieves, whilst being helpful to a lost visitor. And remember, contact campus security if you notice anybody acting suspiciously. For students in private rented accommodation, do make sure that door locks are of good quality and fitted well. 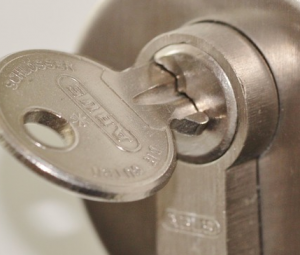 If you are unsure, seek advice from a vetted MLS locksmith. Never consider hiding your key under a doormat or flowerpot when you go out – this is the first place an experienced thief will look, especially in student areas. Don’t put your keys and something with your address on in the same bag and never ever label your keys or halls entry card with your address. After all, you wouldn’t knowingly give a thief your keys with a map would you? Always close and lock all doors. Did you know the majority of student theft is a result of a walk in? That’s right; thieves simply gain access through an open door and steal items. Avoid becoming a statistic and make sure that doors are closed and locked at all times. Even if you are in halls of residence and on the tenth floor – make locking your door a habit! For students looking moving into private rented accommodation, take some time to check that your accommodation is secure before you move in. It’s always a good idea to inspect the exterior of your property and look for any areas where security may be weak. Check the doors and windows in the property – do they have appropriate locks, are they in good condition and will they meet any insurance conditions? Discuss any concerns with your potential landlord. Remember thieves will not only target your home but also your modes of transport. 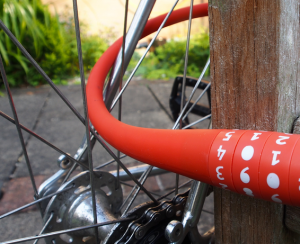 If you use a bike, invest in a solid D-lock and remember to always use it – even if you are away for a short amount of time. If you have car, do not attract thieves by leaving valuables out on display. Before leaving your vehicle, always check that there are no valuable items left in view. At Broadsword Security Services, we can make your student property secure from criminals. Get in touch today by calling 01608 641670 or contact us online.